2. Establish a new generation of Amish leaders who actively engage with the rest of the global community. I work on behalf of ensuring the rights of the Amish and also holding them accountable when they break the laws that apply to every US citizen. For my tweetable, 2-line, short, and medium bio and quotes, click here. For my headshot in high resolution and web-friendly formats, click here. For all other press/media assets (logos, articles, etc. ), click here. For my FREE guide “12 Ways to Make Women Feel Safe at Work”, click here. For my FREE pdf + instructional video “The 12-Minute Writing Process”, click here. “I was raised Old Order Amish, and at age 15, I escaped in the middle of the night without telling anyone goodbye. I left with only what I could carry: the clothes on my back and $170 USD in my pocket. A portion of all my speaking fees and book sales go to the nonprofit I founded: The Amish Heritage Foundation. 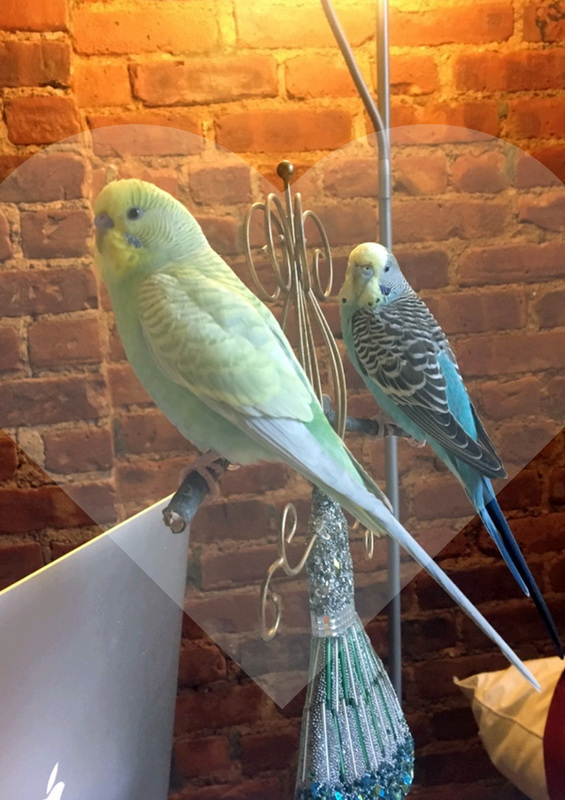 I love parakeets. They’re my emotional support companions. I speak to them in Amish, which helps me stay fluent. 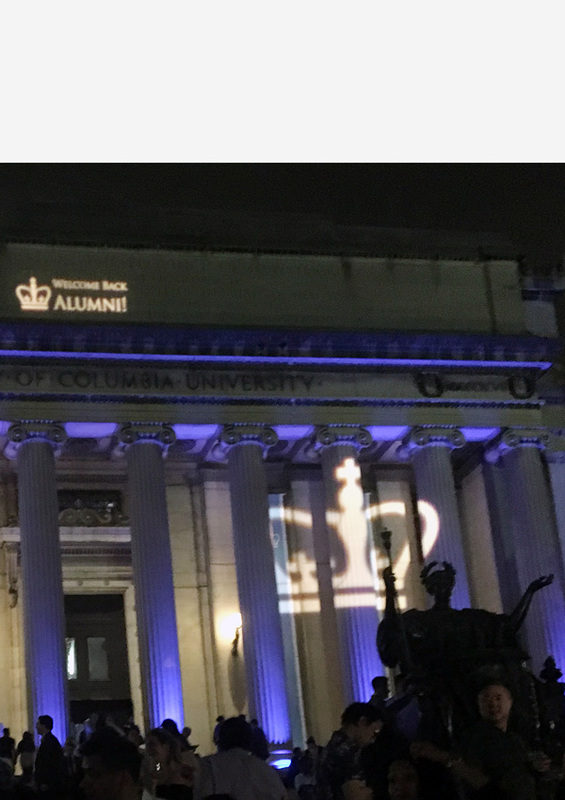 I’m the first––and so far, only––first-generation Amish person to​ graduate​​ from ​an Ivy League school: ​Columbia University in New York City. Language is the window into a culture’s soul. I speak English as a second language. Amish is my native tongue. 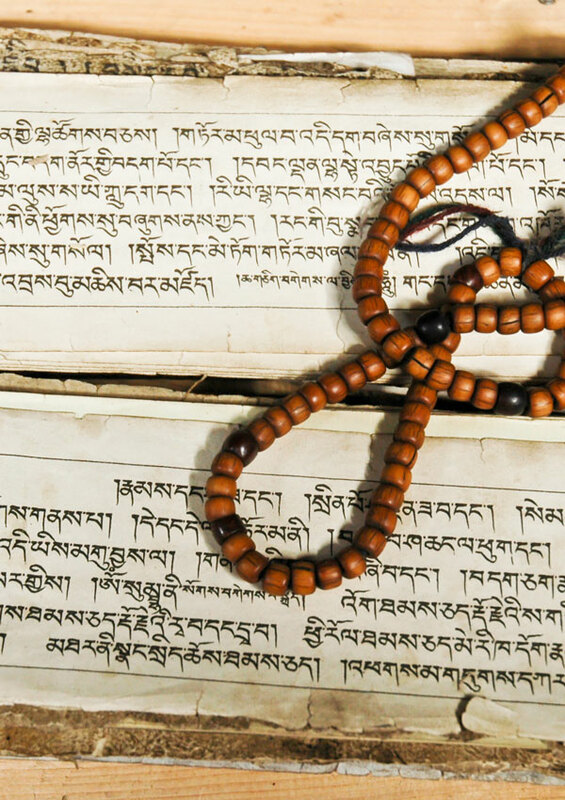 I can also translate classical Tibetan and I’ve studied Italian, German, Spanish, French, Mandarin Chinese, and Russian. The closest I’ve gotten to outer space––huge childhood dream––is by flying upside down over Long Island. 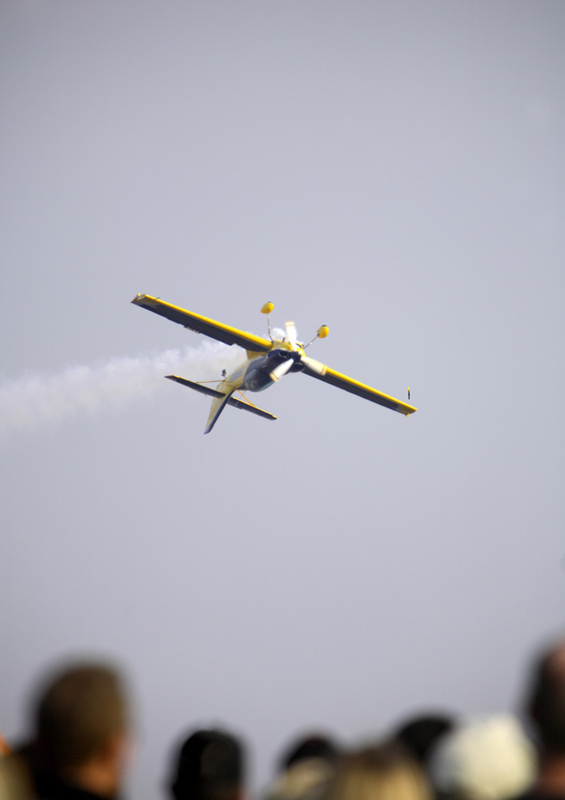 I earned my private pilot’s certification when I was 18. “The survivors of trauma do not have time for karma to come around. Raised #Amish, Torah Bontrager escaped at age 15. She’s the first––and so far, only––first-generation Amish person to graduate from an Ivy League school: Columbia University. Check out her memoir, An Amish Girl in Manhattan (FREE chapters). Torah Bontrager, raised Amish, grew up with no electricity and cars and speaks English as a second language. She’s the author of An Amish Girl in Manhattan: Escaping At Age 15, Breaking All the Rules, and Feeling Safe Again (a memoir) and is the first Amish person to graduate from the Ivy League. Her story has been featured on MTV, Tim Ferriss’ blog, Forbes.com and Huffington Post. She works with entrepreneurs, CEOs, and leaders to make the world and workplace lawsuit-free and safe for women, 33% of whom are sexual assault survivors. Download her FREE guide “12 Ways to Make Women Feel Safe at Work” at www.TorahBontrager.com/12Ways. She also hosts a podcast the Amish Entrepreneur Show and feeds her parakeet babies a non-GMO diet. Torah Bontrager, raised Old Order Amish, grew up with no electricity and cars and speaks English as a second language. She literally escaped in the middle of the night at age 15––with only $170 in her pocket and the clothes on her back. She’s a writing mentor and the author of An Amish Girl in Manhattan: Escaping At Age 15, Breaking All the Rules, and Feeling Safe Again (a memoir). Torah is a recurring sexual assault survivor, a world traveler (~30 countries to date), a plane pilot, and the worst employee on the planet (luckily she figured out how to become a financially sustainable entrepreneur). Her story has been featured on MTV, Tim Ferriss’ blog, Forbes.com and Huffington Post. She works with entrepreneurs, CEOs, and leaders to make the world and workplace lawsuit-free and safe for women, 33% of whom are sexual assault survivors. Download her FREE guide “12 Ways to Make Women Feel Safe at Work” at www.TorahBontrager.com/12Ways. Self-care is key to Torah’s daily routine for remaining sane amidst the heavy work of trauma. She loves gardening and cooking and feeds herself and her parakeet babies a non-GMO diet. She also hosts an iTunes + YouTube podcast the Amish Entrepreneur Show, collecting 1,111 stories of sexual assault survivors—from all walks of life—for worldwide release. T orah Bontrager, born and raised Old Order Amish, speaks English as a second language and grew up with no electricity, no TV, no radio, no Internet, no cars, and up until the age of 10, no running hot water and no indoor bathroom. She learned how to grow her own veggies from heirloom seeds, raise animals for meat, hunt deer in the fall and forage for mushrooms, berries and plants in the wild. Torah is the author of the memoir An Amish Girl in Manhattan: Escaping At Age 15, Breaking All the Rules, and Feeling Safe Again (2nd Edition, March 2018) and is the first—and so far, only—Amish person to graduate from an Ivy League school. When Torah was 11 years old, she consciously decided to leave the Amish church. She loved learning and wanted to explore the world and experience all the things from which the religion prohibited her. It took 4 years of planning and a failed first attempt before she was successful. That fateful night, in 1996, she fled from the only world she had ever known and crash-landed into one that didn’t speak her language, wear her clothes, and understand her problems. Torah’s journey of growth and self-empowerment took her through nearly 30 countries, a 3-year break from college, and a philosophy degree for answers about why bad things happen to good people. In the process, she learned to take back her voice and feel safe again, despite C-PTSD (post-traumatic stress from childhood trauma), Stockholm Syndrome, and attacks on her life. She had given up everything—family, security, community—in the hopes that one day her dreams might come true. And she did whatever it took to emerge from that aftermath, from her tortured psyche, to create a life of beauty and confidence. She wouldn’t be telling her story otherwise. Torah has been featured on MTV, Tim Ferriss’ blog, Forbes.com and Huffington Post. She has a BA in Philosophy from Columbia University in New York City, where she focused on Tibetan Buddhism under the auspices of Prof. Robert Thurman. While a student, she produced a high-profile event with HH Dalai Lama, the leader of the Tibetan government-in-exile, coinciding with the United Nations General Assembly. Torah believes that the best way to intimately understand a foreign culture, and learn more about oneself, is through the richness of its language. One of the greatest assets of her upbringing is being able to communicate effectively with non-native English speakers, thanks to her fluency in more than one language. Today she speaks on how entrepreneurs, CEOs, and leaders can make the world and workplace lawsuit-free and safe for females, 33% of whom are sexual assault survivors. Through her writing workshops and webinars, she also helps people figure out how to uncover and share their personal stories, so they can be the change that they want to see in the world. For workplace safety and writing tips, download her FREE guides “12 Ways to Make Women Feel Safe at Work” or “The 12-Minute Writing Process”. Torah is a fierce advocate for personal sovereignty and balancing the scales of justice. 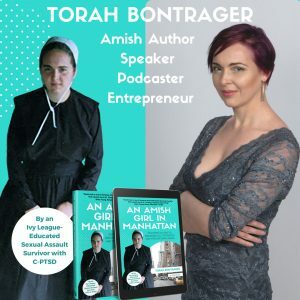 She hosts an iTunes + YouTube podcast the Amish Entrepreneur Show with the mandate to collect the stories of 1,111 sexual assault survivors for worldwide release. Through projects like this, the culture of ignoring sexual assault and women fearing for their safety and security is no longer possible. Self-care is key to Torah’s daily routine for remaining sane amidst the heavy work of trauma. She loves gardening, cooking, and hosting dinner parties and feeds herself and her parakeet babies a non-GMO diet. Despite her many accomplishments in life, she hasn’t yet fulfilled her pre-escape childhood dreams of graduating from Harvard and flying into outer space.